Glass Half Full – Beyond the Screen. Originally the piece was called Cursory Glances. The reference was on reflected and quick interactions, shallow gestures – the idea of acting without time to understand the complexities. 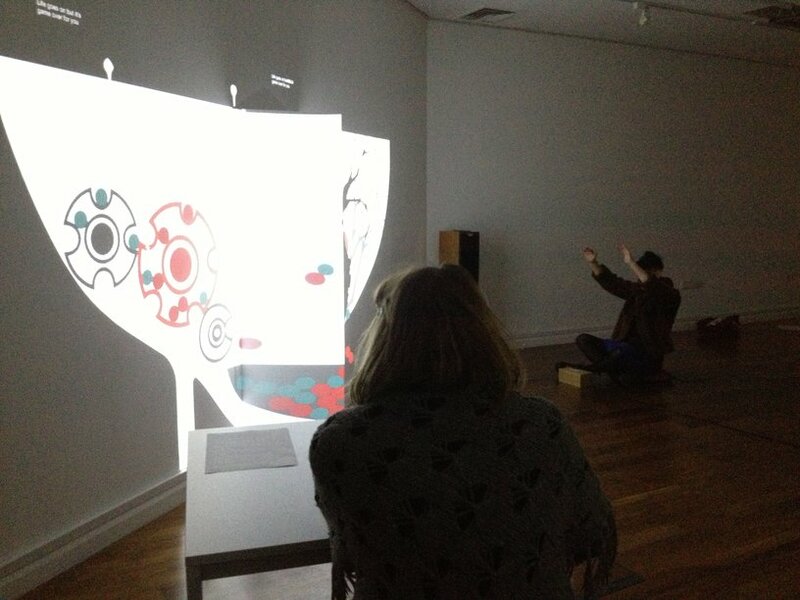 The video game installation would place two people in a situation of needing to collaborate on a task. Participants would effectively be ‘cornered’ in a ‘corner – giving not only a perspective shift but also the sense of physical entrapment. This is a personal piece. I intended it to be a process by which to express and reflect on my own relationship with the duality which exists within my role as co-parent with my husband who suffers from anxiety and depression. Dealing with the constant push and pull of heart and head, mind and body, logical and irrational and the struggle and conflict that arises. 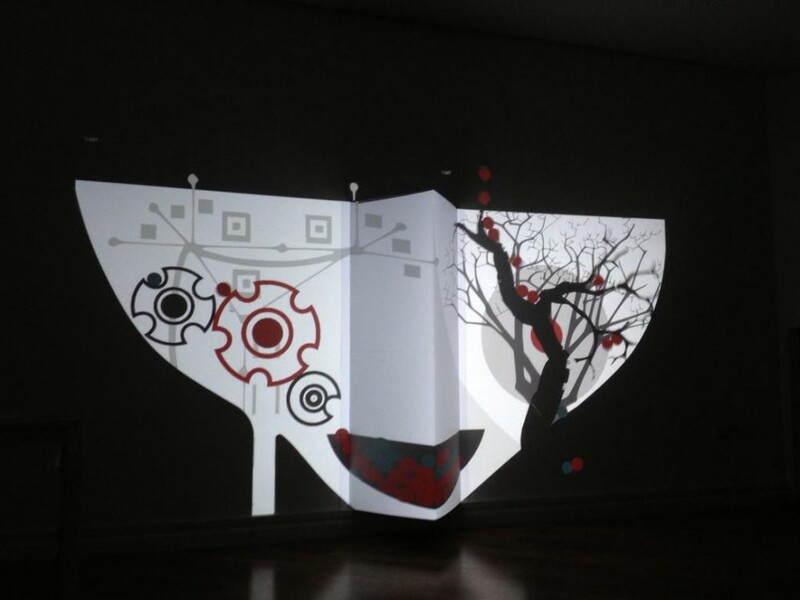 The piece has evolved throughout the process of making the work. Now called Glass half full, the work is no longer in a corner. The main goal of the interaction is on filling the glass – which sits in the middle of the divide, implying that two people here need to collaborate across the mountain range of their clashing perspectives in order to fill the child with love and protect them from toxic elements despite not being sure how to do this. I used Unity3d free. This video game development environment was new to me and I found it liberating, as it combined visual and code input. Having spent some time in the late 1990’s 3d modelling, I found the work flow from drawing to 3d modelling in Blender, to final game construction in Unity3d quite a natural and exciting one. I decided early on to adopt a ‘flat’ 2d vector look and feel. Inspired the abstract animations of the 1960’s I wanted to create something simple despite the many 3d experiences achievable in Unity3d. I pushed the boundaries of free and open source software (FOSS) – to show myself and others that it’s possible to make art without spending a lot of money. The main challenge for me was to make my Linux PC play nicely with Unity3d and the Leap motion controller – both of which are intended for Windows and Mac. I resolved to using plumbing, go-between programmes such as PlayonLinux and Wine for installing Unity3d in Ubuntu and OSC messaging with Processing to enable me to track motion as the Leap could not be installed in Wine. Last updated by Maf'j Alvarez at February 6, 2015 .